Look up in the air. Do you see a plane or Superman? If you’re in Belize, the answer is neither. You’ve spotted flocks of what appears to be every bird under the sun. 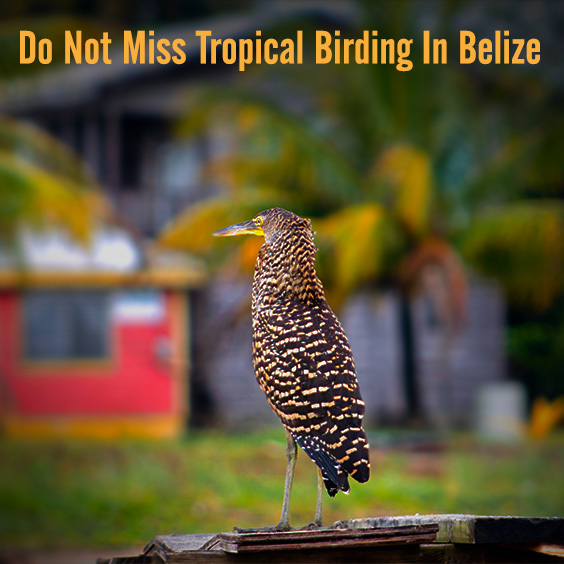 Obviously, you’ve been clever enough to book a trip to Belize where birding is king and hobbyists gather to see an amazing number of species land on tree branches, fly overhead and perch amid ancient Maya ruins, just as they did thousands of years ago. 1. You get an excuse to travel extensively to see the birds of the world. 2. Your eyesight will sharpen as you scan the heavens for rare species. 3. You’ll meet like-minded people who share your passion. 4. Birding can quiet the mind, so you treasure moments of beauty and majesty. 5. You become aware of bird-related issues that haven’t concerned you in the past. 6. Birders turn into an experts as a result of acquiring so much knowledge. 7. Spotting rare birds in flight has the power to turn a depressing day into a splendid one! Convinced? You should be. And it costs less to purchase a good pair of binoculars than it does to spend time on a shrink’s couch–but your birding experience won’t be perfect if you don’t find the right place to spot all of this wonder. 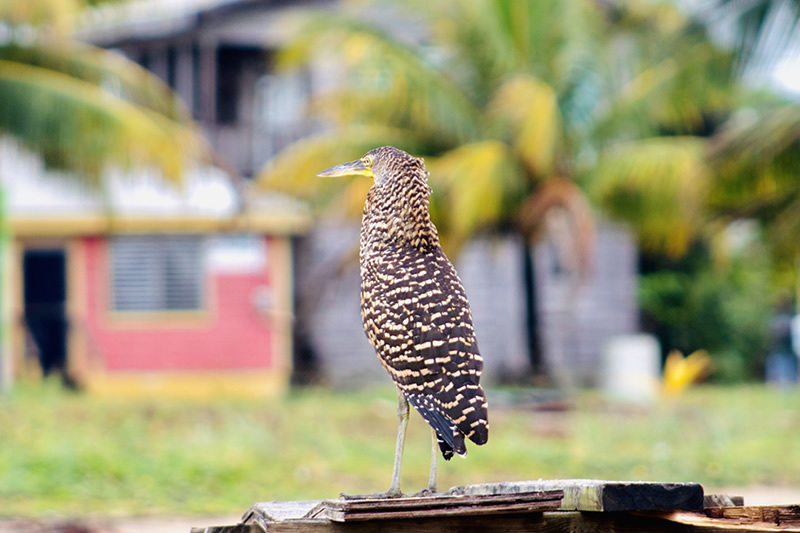 At Laru Beya Resort on the Placencia peninsula, find the ideal mix of nature and comfort, which is why this luxury resort offers a special bird watching tour in addition to the most gorgeous accommodations and amenities in Belize. A TripAdvisor certificate of excellence tells you everything you need to know: headquarter at Laru Beya and look for up to 500 different bird species during your extended stay. These winged beauties are not just fly-overs; 80-percent of them are classified as resident birds, says the Belize Audubon Society. They’ve made Belize home because ground conditions are a welcoming mix of coastal plains, jungles, wetlands and savannas. But before you can look up into the sky, you’ve got to get down to earth via the short flight from North America and the shorter journey to Laru Beya where you can start birding the moment you arrive. Sound like your idea of heaven? It is.